With the Abe administration pushing their reinterpretation of Article 9 of the Japanese Constitution through the Lower House on 19 September this year, the stage seems set for the renewal of military vitality that has long been suppressed since the fall of Imperial Japan in 1945. The revision will enable Japan to exercise its right to collective self-defense, that will allow the Japan Self-Defense Force (JSDF) to expand on its military roles and come to the aid of Japan’s allies in the event of armed conflict. Even with divided public opinion and waning enthusiasm from members of the ruling Liberal Democratic Party (LDP), Prime Minister Shinzo Abe is intent on passing the revised national security legislation, which will be determined in the Upper House next Summer. Japan has enjoyed 70 years of civil power and national pacifism since renouncing their right of belligerency and the maintenance of war potential. This article aims to give an overview of the reasons and circumstances that led Imperial Japan to go to war with the Allied Forces and the majority of Asia in World War Two. Imperial Japan’s decision to attack the naval base at Pearl Harbor stemmed from the government’s reinterpretation of Hakko Ichiu (literally “Eight Crown Cords under One Roof”) as an expansionist movement to create a “new order in East Asia”, known as the Greater East Asia Co-Prosperity Sphere. Such an order would seek to bring people of East Asia under the Japanese Emperor’s divine benevolence. Imperial Japan’s expansionism was also driven by their need for natural resources, oil and rubber in particular. Her supply of bunker oil was depleting at an astonishingly rapid rate, and she desperately needed to prevent it from exhausting within two years’ time. Imperial Japan signed the Tripartite Pact mutual security agreement with Nazi Germany and Fascist Italy in 1940, in which Adolf Hitler attempted to persuade the Japanese government to attack the Soviet Union with the promise of oil in return. However, the Imperial military turned down the Furher’s request, concerned about the previously unsuccessful conflicts with the Soviets in Manchuria during the 1930s, as well as the Nazis’ racial ideologies. Thus, Imperial Japan had to look elsewhere for oil production, which brought their attention to the Dutch East Indies in Southeast Asia. They had included the U.S. ward state of Philippines as part of their Pacific colonies, which will ultimately draw the U.S. into armed conflict with Imperial Japan. The Imperial military hence sought to neutralize the USN Pacific Fleet long enough for the IJN to build its strength and firepower. As a result of their expansion into Manchuria and later China in 1931, Japan was condemned by the League of Nations and thereafter withdrew from the League in May 1933. Embargoes were placed on Imperial Japan by the U.S. after Japanese troops moved into Indochina in 1940 to cut supplies to China; Japan’s Prime Minister Fumimaro Konoe attempted to reach diplomatic consensus with U.S. President Franklin D. Roosevelt for the acquisition of bunker oil, of which 80% was imported from the States. Over the course of nine months, talks were held on the conditions for withdrawal of Imperial Japanese forces from China and Indochina, specifically the lifting of economic sanctions along with the ceasing of aid to China from the U.S., Britain and the Netherlands. Prime Minister Konoe was against escalating into war with the U.S., and proposed more diplomatic talks to gain economic aid and avert armed conflict. However, War Minister Hideki Tojo and Chief of IJN General Staff Osami Nagano argued that time was running out and further negotiations with the U.S. would be pointless. Konoe resigned as Prime Minister in October 1941, and Tojo was put in his place. Diplomatic negotiations between U.S. and Japan had broken down in the months leading up to December 1941. On 1 December, Emperor Hirohito gave authorization for the opening of hostilities with the U.S., Britain and the Netherlands. The IJN employed the Japanese Consulate in gathering vital intelligence on Pearl Harbor; via 29-year old IJN Ensign Takeo Yoshikawa, under the alias Tadashi Morimura. Yoshikawa arrived at Pearl Harbor on-board the passenger liner Nitta-maru in Spring 1941. He went on extensive surveillance trips around the main islands by car, and over Oahu by light plane by clandestinely posing as a tourist. Yoshikawa made detailed sketches of Pearl Harbor from a crest on a nearby hill, noting the locations of the ships docked there. From his frequent tours in and around Pearl Harbor, he was also able to confirm that Sunday was the day on which the most USN vessels were docked in port. Yoshikawa relayed all these in encoded form to IJN intelligence officers on Japanese ships through Consular staff. The IJN Combined Fleet, under Admiral Yamamoto’s command, launched a Kido Butai strike force, consisting of three Carrier, one Battleship, one Cruiser and three Destroyer Divisions, alongside three Submarine Squadrons. Flagship carrier Akagi and carrier Kaga made up Carrier Division 1, Soryuu and Hiryuu comprised Carrier Division 2, and Shokaku and Zuikaku making Carrier Division 5. The strike force had a total of 408 aircraft. Prior to IJN Akagi turning to sail into the northerly wind on the morning of 7 December, the iconic Maritime Signal Z flag was raised on her mast. 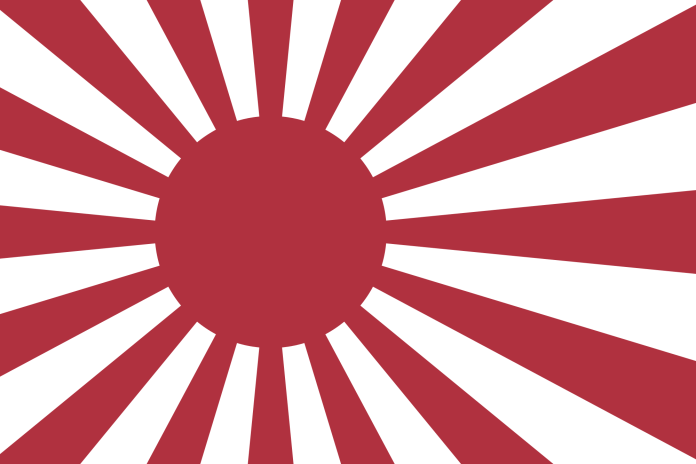 In IJN context, the Z flag held the meaning that “The fate of Imperial Japan rests on this battle; all hands will do their best”. 1. Neutralize main force of the USN Pacific Fleet to prevent U.S. interference with Imperial Japan’s Southern Seas colonization. 2. Buy sufficient time for Imperial Japan to colonize and build naval strength to anticipate USN counterattacks from the Atlantic Fleet or otherwise new vessels. 3. Lower American morale with the aim of deterring armed conflict with Imperial Japan. However, the actual attack proved to be strategically and operationally unsuccessful, with IJN attacks failing to destroy vital targets (the USS Enterprise, Lexington & Saratoga, as well as fuel depots and repair yards). This oversight would later cause the demise of the IJN Combined Fleet and subsequently Imperial Japan’s defeat. Is Japanese military rising is again a threat to international peace? There is the potential if the Abe administration goes forth and kicks things up a notch to legalise acts of war, but as it stands no. The Japanese Self-Defence Force currently does not pose a threat to international peace, only People's Republic of China's military pushing their boundaries in the East and South China Seas; the JSDF are still recognised as a 'special civil service', not as a military. In my opinion, unless China makes a drastic move on the offensive towards the Senkaku/Diaoyu Islands, there is not much of a threat of armed conflict between the two nations.